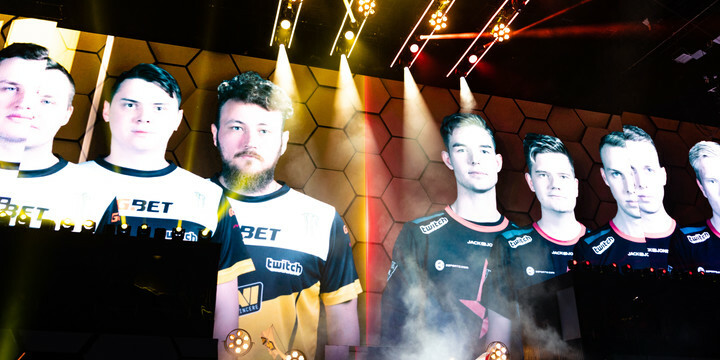 The battle for supremacy between Astralis and Natus Vincere is often mistakenly described as a struggle between clockwork-like teamplay and an individual force of nature in the form of the best individual player the game has ever seen. It happens to be so much more than that: in many ways, the two sides followed a similar path as they circled around the summit, and it’s a testament to the yellow-jerseyed gunslingers’ pedigree that they are worthy of comparison with the Danes even despite missing out on that elusive major title over the course of their otherwise storied history. The BLAST Pro Series Miami event will mark their first meeting in 2019: based on Na’Vi’s showing in Shanghai, there’s no better time to reignite the rivalry. The unique story of Astralis makes the team’s journey a fairly difficult one to trace. Where do you begin? Surely you don’t go back all the way to the original Finnish roster or muddy the waters with the TSM and Questionmark days. No, let’s start telling the tale from the moment the original players donned the jerseys with those now-infamous red stars, starting out strong at their first LAN event way back in March 2016, reaching the finals of the Counter Pit League Season 2 Finals. The team that stopped them at the final hurdle? Natus Vincere. Still with GuardiaN and seized instead of the two monsters that would join later, the CIS team would also be the ones stopping Astralis at MLG Columbus despite the fact that they were hot off the heels of ending fnatic’s six-tournament streak in a surprisingly straightforward fashion. Of course, this storyline still ended up taking a backseat from s1mple’s meteoric rise and Luminosity’s historic victory – just like so many times before and since, Na’Vi would be so close but so far on the biggest stage of all. Shortly thereafter, karrigan made his fateful move to FaZe Clan and gla1ve’s arrival marked perhaps the first step towards the Danes’ eventual dominance. They certainly managed to turn the tide in their private battles with Na’Vi, though their opponents were clearly in a transitional period at the time, trying to juggle the combined presence of GuardiaN and s1mple before the former would eventually also join the international juggernaut. For Na’vi, we’d have over nine years of storied history to look at if you wanted to look at the entirety of the org’s timeline – but even if you focus on the present, there’s a good case to be made that the team really found its identity after the arrival of electronic, not of s1mple, marking the moment they were no longer a one-trick pony (though what a trick that one is!). To this day, even with the constant of a monstrous fragging output by the two stars, it’s the performances of the supporting cast that seem to determine whether Na’Vi can make a deep run in a tournament. If Edward and flamie fail to show up, the genius of the other two just isn’t enough for Zeus to get them over the finish line. The competition is just too strong for that. However, when they are also on fire, as StarSeries Season 7 showed, they themselves become close to unstoppable. Astralis’ wins at the StarSeries Season 2 final, IEM Oakland 2016 and eventually the first ELEAGUE major on their way to their first title of its kind established a changing of the guard – in fact, Na’Vi would not manage to best the Danes on LAN throughout the rest of 2017. Of course, the real story of that year was the complete collapse of Virtus.pro and the two upset winners at the majors throwing the scene into disarray. It was such an uncertain period that many thought no team can truly dominate CS:GO again, myself included – we were proven spectacularly wrong the next year. How did the Fnatic-NiP rivalry shape up in CS:GO? 2018 marked the simultaneous rise of both teams in the rankings as their meetings went from small-scale tussles to high-powered rumbles. The encounter at StarSeries i-League Season 4 was Astralis’ first tournament with Magisk in the lineup after Kjaerbye’s shock move to North: Na’Vi finally bucked the trend, winning against the Danes on home turf en route to a final where mousesports somehow managed to rise above and beyond the call of duty to stop them. They would end the year playing against each other at the final of BLAST Pro Series Lisbon as Astralis took revenge for the atrocity at Copenhagen that occurred in November. Sandwiched between the two were encounters that would define the Danes’ rise to prominence. The way they crushed the CIS side at the finals of DreamHack Masters Marseille 2018 was a sign of things to come as they went on to dominate the LAN scene. But even as the CS:GO landscape seemed to turn into a sea of red, the rising tide was periodically punctuated by Zeus’ men as they played a part in denying the audience the seemingly inevitable FaZe-Astralis showdown at Cologne by beating the latter before outright winning the event. Think you know who will win BLAST Pro Miami? Prove it! Even after two losses at the major against gla1ve’s men in London – a mighty close one in the group stage and a much more straightforward affair in the final – they managed to remain a credible threat to the world’s best side. Just when it began to feel like a procession, they showed up in Copenhagen playing spoiler as they snatched away the next BLAST Pro title at the home of Astralis. Even with the double defeat at Lisbon, they are clearly the closest contenders to the runaway Danes right now, the side with at least a punchers’ chance against the team that now holds the longest-ever consecutive streak atop the HLTV rankings. It could very well be the case that perhaps the strongest Na’Vi side in history will once again be consigned to the role of the eternal bridesmaid, clearly one of the best in the current scene yet failing to overhaul the mighty Danes of Astralis. That would be a beautiful sporting tragedy, some sort of a poetic symmetry to that outcome after the stories of fnatic and FalleN’s SK. However, as we’ve seen before, just as you would think that gla1ve and co. have pulled away for good, Na’Vi seem to be the one to suddenly pierce the veil and bring them back just a little bit closer to the ground. Clearly, there’s a lot more of this story yet to be told – and the teams’ shared history has just as much, if not more to do with their exciting rivalry as the supposed stylistic differences between the two.